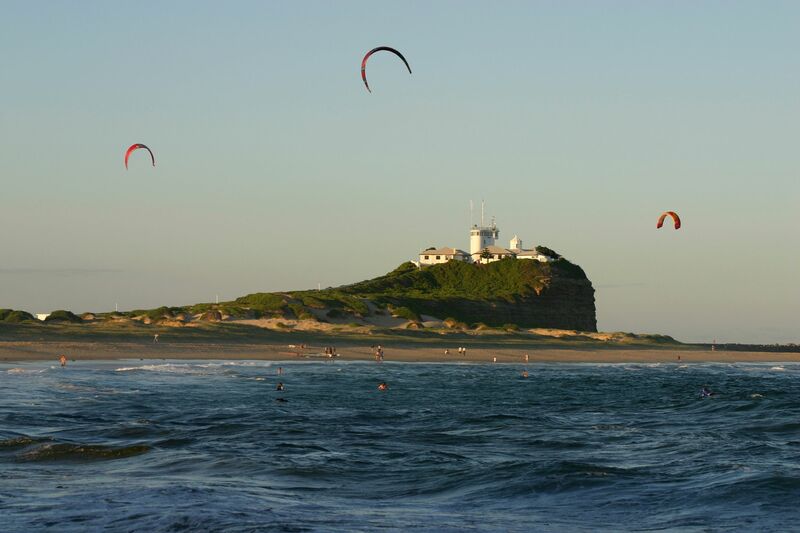 Beaches are a major draw, especially the endless Stockton beach and a few good surf breaks (Nobbys beach, Dudley beach). The city’s three ocean bath complexes are unique and wonderful attractions, as they offer a chance to relax in waveless comfort while still enjoying salt water and stunning views. Australian wine country lies just to the west, and Barrington Tops National Park, one of the homes of the elusive Platypus, lies to the north. Newcastle has transformed over the last 2 centuries from a rough and tumble mining town where the worst criminals and convicts in Australia, which was originally populated with England's worst convicts, were sent to work in the coal mines. The town grew up on coal, and later steel. But the it hit tough times in the 70's through the 90s, hitting rock bottom when the huge steel plant closed in the late 90's. The town was named after its namesake back in England, which had a similar blue collar, coal mining heritage, and a lot of the miners actually came from England. A lot of the older architecture of brick buildings is reminiscent of England. But newer construction is of steel, as brick is dangerous because although it is good against the storms that can batter New South Wales, this area also has it's earth quakes.